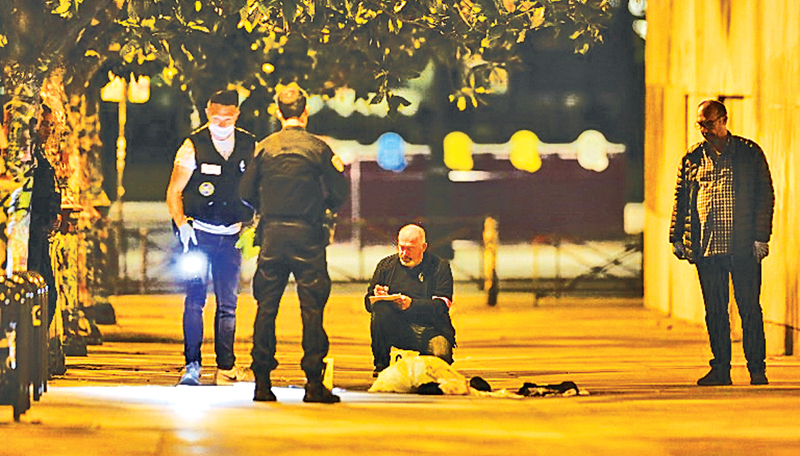 FRANCE: Seven people including two British tourists were wounded in Paris late Sunday by a knife-wielding man, a terrifying attack that bystanders tried to stop by throwing petanque balls at the assailant. Chaos erupted on the banks of the Bassin de la Villette, an area popular with locals and visitors who frequent the cafes, cinemas and other cultural venues along its banks, just after 11:00pm Paris time. “There were around 20 people chasing him. They started throwing petanque balls at him,” Najah said, referring to the sport popular in France also known as boules. According to the same witness, the attacker then dived into an alleyway, where the man “tried to hide behind two British tourists. We said to them: ‘Watch out, he has a knife”. But they didn’t react”. The pair were then attacked, he said. “He had an iron bar in his hand which he threw at the men chasing him, then he took out a knife,” he told AFP. It is the latest of several knife attacks France has seen in recent months, with terrorism being ruled out in most cases. On August 23, a man stabbed his mother and sister to death and seriously injured another person in a town near Paris before being shot dead by police. The motive for the violence remained unclear despite a claim by the Islamic State (IS) group that it was an attack by one of its fighters responding to the terror organisation’s propaganda. That attack came days after an Afghan asylum-seeker was arrested in town of Perigueux for a drunken rampage with a knife in which four people were wounded, one seriously. Police said investigators had “very quickly” dismissed a terrorist motive after the August 13 incident. And on June 17, two people were hurt in another southern town when a woman shouting “Allahu akbar” (God is greatest) attacked them in a supermarket with a boxcutter knife.